National institute of Occupational Health released new notification for the recruitment of total 12 (Twelve) Scientist vacancies. Job seekers should apply before 11th September 2017. Educational Qualification : MD/DMRD (Medicine) recognized by MCI or MBBS degree recognized by MCI or First Class Master’s degree in Chemistry (Analytical/Organic)/ Bio-Chemistry/ Life Science, Toxicology, Biotechnology/ Psychology/ Environmental Science/ Microbiology from a recognized university or Second class M.Sc + Ph.D degree in Bio-Chemistry/ Psychology/ Environmental Science/ Microbiology the relevant subject from a recognized University. Age Relaxation : 05 years for Government servant & SC/ST Candidates and 03 years for OBC Candidates. NIOH Selection Process : Selection will be based on Interview. Application fee : Candidates have to pay Rs.500/- through Demand Draft in favour of “ Director, National Institute of Occupational Health, Ahmedabad. The SC/ST/Women candidate and physically handicapped candidates (PH) are exempted from the application fee. 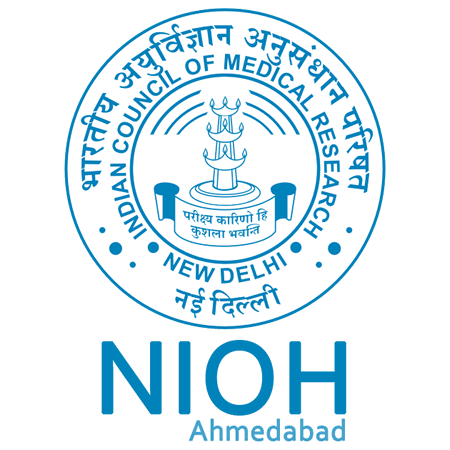 How to Apply NIOH Vacancy : Interested Candidates may apply in prescribed application form along with self attested copies of the certificates Proof of Date of Birth, Educational Qualification, Experience, Recent Passport size photograph & Demand Draft send to the Director NIOH, Meghaninagar, Near Raksha Shakti University, Ahmedabad-380016 on or before 11.09.2017.